What’s more, a virtual treatment plan generated by Align Technology’s unique ClinCheck® software shows the series of movements your teeth will go through over the course of the treatment. This allows you to see upfront what your teeth are expected to look like at the end of the treatment. 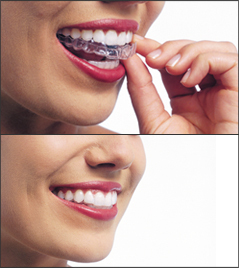 From the results of the ClinCheck software, your custom-made, clear aligners are produced especially for you.